Portions of this story about “All the Money in the World” appeared in the Actors/Directors/Screenwriters issue of TheWrap’s Oscar magazine. On Monday, an unfinished version of Ridley Scott’s “All the Money in the World” screened for the Hollywood Foreign Press Association on the Sony Pictures lot. 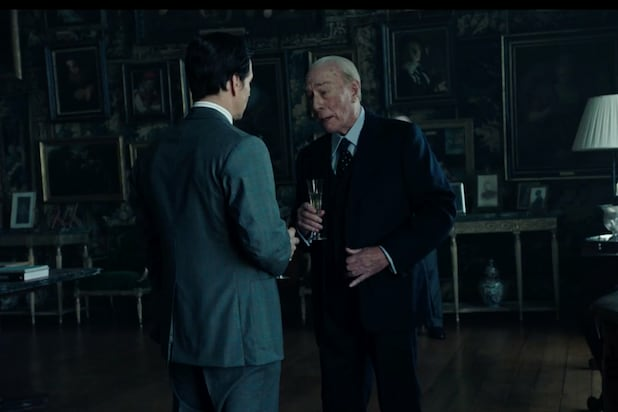 The screening, the first for a film scheduled to open on December 22, came only days after the director reshot scenes in Europe with actor Christopher Plummer replacing Kevin Spacey, who had been edited out of the film in the aftermath of a scandal involving multiple accusations of sexual misconduct. For “All the Money in the World” screenwriter David Scarpa, the 11th-hour salvage effort came both as a shock and a confirmation that the 80-year-old Scott is unlike other directors. The buzz out of the film’s HFPA screening was strong, with Plummer getting particular attention for his supporting role as oil tycoon J. Paul Getty. The film deals with the 1973 kidnapping of J. Paul Getty III, and the efforts by the boy’s mother, played by Michelle Williams, to raise ransom money from the reluctant oil tycoon initially played by Spacey under layers of makeup. 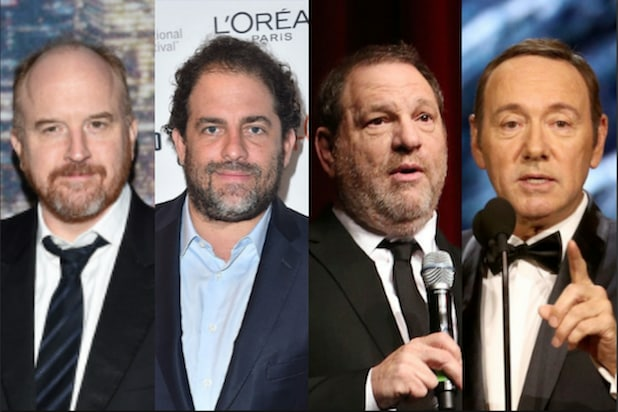 The mogul was 81 at the time of the kidnapping; Spacey is 58, while Plummer is 87. Scarpa said he did “some tweaking to customize things a little bit” for Plummer, but essentially the script remained the same. Much of the new shooting, he said, took place over the Thanksgiving holiday. “Essentially this whole thing is two 80-year-olds going to Italy, to London, everything, over Thanksgiving,” he said. “But if anybody can do it, Ridley can. The guy’s 80 years old and he made two movies this year. [The first was “Alien: Covenant.”] You can’t find a 30-year-old director who can do that. Scarpa wrote the script, he said, because he wanted to explore the world of money. “I was particularly interested in the idea that money controls and determines our lives, and yet movies don’t reflect that that much, he said. “Getty, the richest man in the world, refused to pay the ransom. Most kidnap dramas revolve around, ‘The boy is kidnapped, find the boy or find the bad guys.’ In this case, it’s an internal, psychological conflict with Getty himself. There’s plenty of money there to pay the ransom, and yet he’s psychologically incapable of doing it. While the film is based on a chapter from the John Pearson book “Painfully Rich: The Outrageous Fortunes and Misfortunes of the Heirs of J. Paul Getty,” Scarpa said his research uncovered a variety of different accounts of the events in question. “We’re not claiming that everything is entirely true,” he said. “Part of the challenge is that there are a number of different sources, and everybody seems to have a different story about what happened. The result, he said, also cobbles together different film genres. “We were sort of taking two kinds of movies and smashing them together,” he said. “One is the conventional kidnap drama, and the other is the ‘Citizen Kane,’ great-man, titan-of-industry story.